This time of year, when the trees are bare here in New York City, we can't help but dream of spring and the pretty pink blooms that come with it. So we've decided to escape the winter chill for a bit and fast forward to the delightful season ahead. Enter Our Muse Kimberly and her spring-like New York wedding, shot by Cava Weddings. I love how Annie Lee of Daughter of Design really recreated the feeling of being outdoors inside. Check out her Expert Style Tips for more ideas of how to introduce beautiful natural elements into your venue for an elegant wedding where you won't need a rain plan! Kimberly also dreamed of endless blooms, but wanted them done in a delicate and sophisticated way. A range of soft pinks and nudes, along with the custom hand-drawn blossoms that we wove throughout her invitation, did just that. 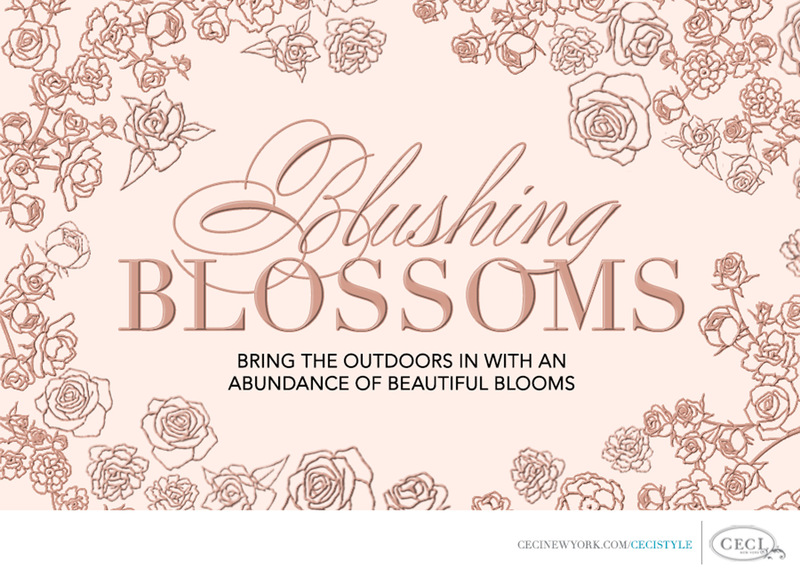 Head to this week’s Ceci Creative Tips to see how we brought this idea to life through design. Enjoy the flower show, and here's hoping for an early spring!